This film makes its subject into an object in space as opposed to being screen based. The film shows white bedsheets hanging on a washing line. 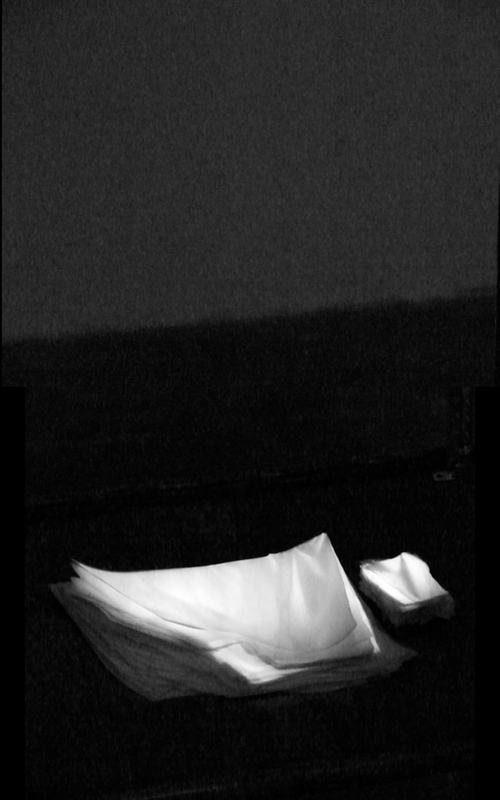 Every frame of the film has been cut out of a sheet of paper and laid on the next to create a sculptural bed like form onto which the film is then projected. The sheets should get messier as the exhibition goes on, like the twisted sheets of the women photographed by Jean-Martin Charcot at the Salpêtrière Hospital in the 1800’s. Four poster references the structure that holds the projector, but also the idea of photography committing an illusion to reality, in the manner of the images created at the Salpêtrière.